My mom got me this hoop as a Christmas present and I just looove the size, the 5/8 width of the tubing. And cannot wait to get more hoops from you guys!!! 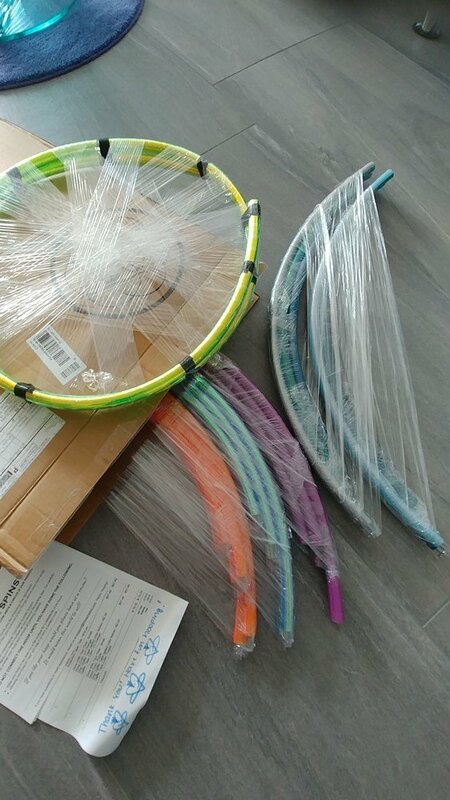 Have ordered 3 hoops so far and have been extremely pleased with how fast the shipping is and the quality and look of my beautiful hoops!! Hi. Thank you for the great hoops you make! Bought two of the sale fitness hoops. Got their shape in 24 hours as they said, very happy with them! I love them so much. I only buy ny hula hoops from them. They have the best deals and the most high quality hoops iv ever received. I love my new Grow with Your Flow small hoop In cherry tomato 3/4” tubing. The color is exactly what I wanted and I am already obsessed with trying out all the new sizes and flow styles they allow me to explore . 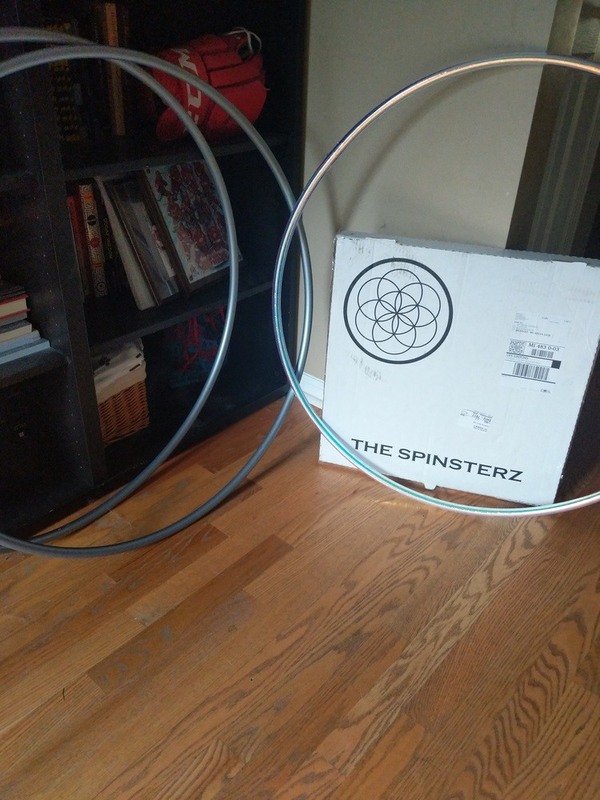 My first polypro hoop was also from Spinsterz and one of my all time favorites. It was a 3/4” UV Yellow polypro 32” diameter. 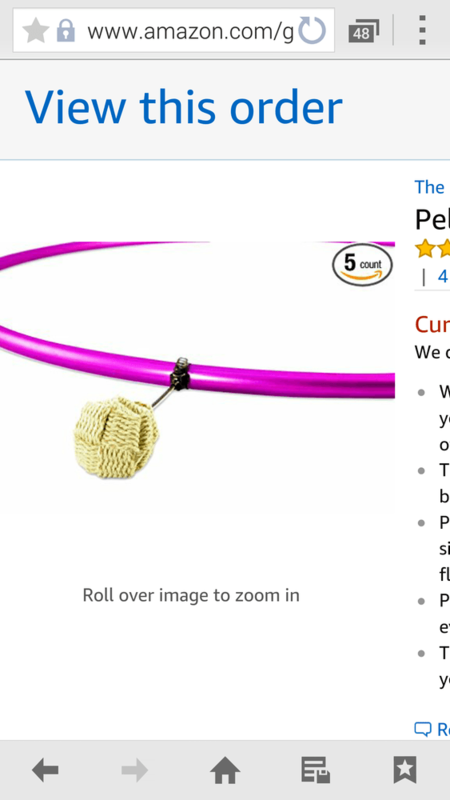 I instantly fell in love with it and still use it but prefer a bit smaller hoop these days. 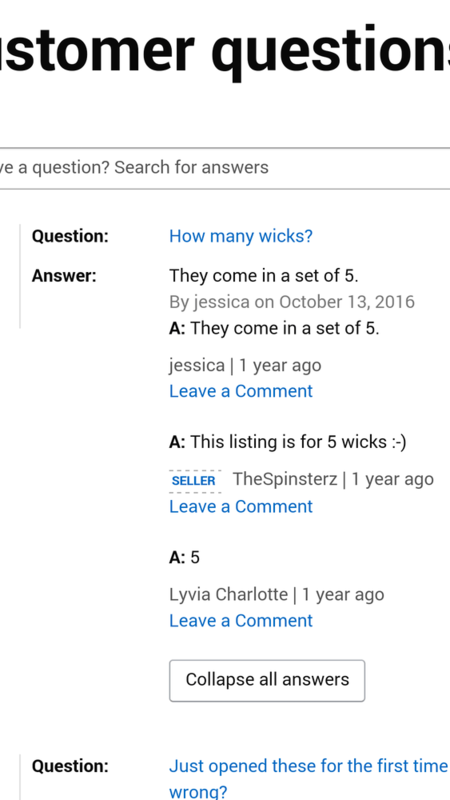 Thanks for always providing amazing service, I have never been let down. excellent products, price and high quality! I'm not a very experienced hooper, but I wanted a new hoop and wasn't really sure what size, and I wanted one that traveled well. This was a great choice! I was a bit worried about the balance, but no issues there. My hoop is so pretty ! I love it and can't wait to learn some new tricks ! However, my hoop is way big lol compared to my body, I think I may have used the size chart wrong, but definitely will Purchase another once I figure out the size I need ! I haven't received my package. It is supposed to be here. I love my new hoop! Every hoop i've gotten from the spinsterz has been awesome. I love the size, weight, feel, and color of the hoop. Thank you!